Providing your employees with your credit union's key performance measurements in a way that they can easily understand is a powerful motivator. Providing your employees with your credit union's key performance measurements in a way that they can easily understand is a powerful motivator. Therefore, it is important to educate your frontline staff with this information because, as Diana Dykstra recognizes, “when [employees] understand [how their credit union and the economy are performing]…they serve the members better, they are able to help the members through all of this and not just shrug their shoulders when a tough question gets asked.” But a strong education will not only help them perform their job more effectively, it may also inspire greater loyalty and responsibility since they will feel more closely aligned with the credit union's performance. Let's walk through an example that your employees would find relevant to their job and performance: how their productivity leads to better value for members (all data is pulled from Peer-to-Peer 2.0). One common practice is to provide your employees with a run down from the credit union's balance sheet. However, presenting your employees with numbers from the balance sheet alone can depict a false sense of the credit union's performance. For example, if Northwest Credit Union in Virginia were to present their employees with only the figures of total loans outstanding on their balance sheet (as seen in the graph above) their employees might feel like the credit union was not continuing to provide the same level of service to its members. It doesn’t illustrate a complete picture of the credit union's lending performance. 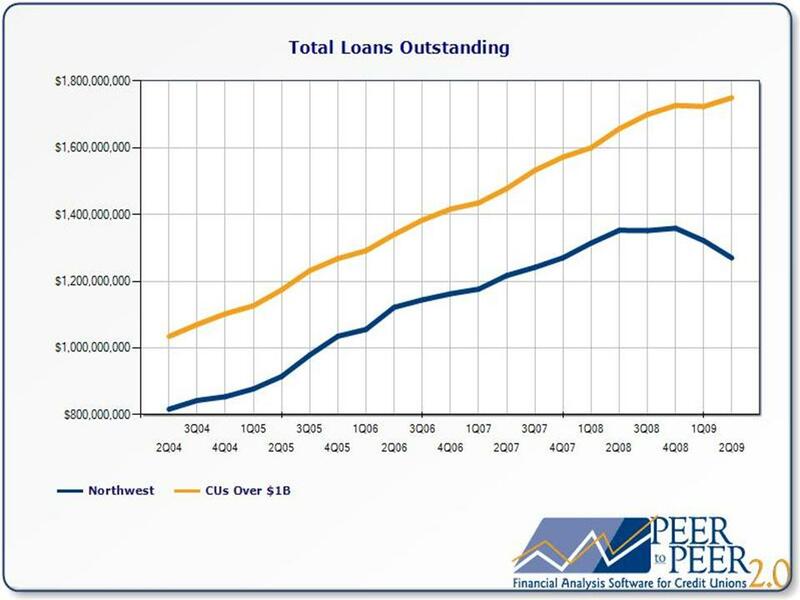 By looking at loan originations per employee, a Northwest staff member can see that in fact the credit union has had tremendous success providing loans to their members over the last six months. Sending this information to all of their employees would be an excellent way for Northwest to publicly recognize their loan managers' success; highlighting the fact that the credit union is doing an exceedingly good job at meeting its members' needs. Regularly distributing packets to your employees that compare your credit union's performance to its peers will help keep them motivated. Also, providing information can also be a useful tool to counteract negative headlines that only tell part of a story. However, keep in mind that the data you choose to present you staff will frame how they think about themselves and the services they provide members. Lastly, it is essential that the data you provide your staff is timely. The more current the data, the more effective it will be at motivating your employees. So please make use of Callahan & Associates' First Look data to create your packet. First Look is currently the only way to take a holistic view of the industry's second quarter financial information. We can use our analytical tools to manipulate that data so that you can compare your performance to similar credit unions. If you would like to have us create a packet for you to provide your frontline staff, free of charge, please contact Callahan's Analytics Department at support@creditunions.com.